Note: This sample was sent to me for free to share my HONEST opinions of it with the AGCM community. Oh laaaaaaaaaayyyyyy-deeeeeees. Spring is on its way and here's something you may like for your spring/summer bod. Some of you (depending on or not depending on the climate you live in) may like it right now. The ever so talented make up artist, Scott Barnes' (he's done make for practially all the stars including Jennifer Lopez and we all know her flawless her make up always is), Body Bling is back and I'm diggin it. The instructions don't mention putting it on your face so I didn't and wouldn't put this on my face. Use your better judgement on this. Also, this is not meant to be a regular body lotion so put this lotion on when you have some skin out that needs to be noticed! You guys want a giveaway on this? Comment, comment, comment! If they see how many comments are on here, I may be able to convince them to do a giveaway on here. What say you? I just found out about scott barnes, and I love the products that I've tried. I might give this one a go. 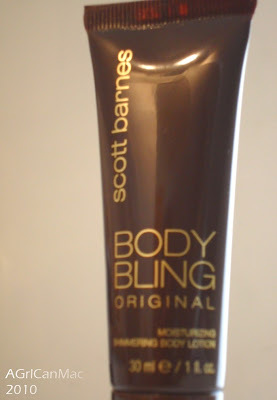 i'd love to try some body bling, esp in the spring n summer when your out on the town! i still have some shimmer powder that i glide on my decollete if im wearing a tube topish looking dress or top! trying it on my legs is different! I would love a giveaway! Scott Barnes gave JLo her glow and you see how well that worked out for her! 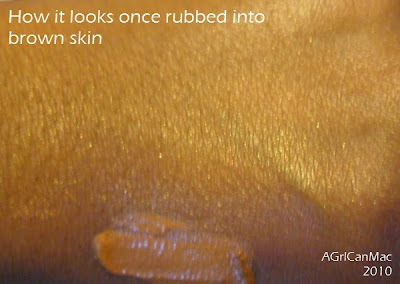 He's a genius and I am alway looking for some kind of bronzer for dark skin. I use NARS in Laguna on my face but this looks like it will work for my legs. Bring it on! Yes, a givewaway would by HAWT. I've been hearing all this buzz about Barnes lately; I want to try this stuff!